How long has it been? Sorry for my absence, I've been flexing my writing energy on Monday Night Combat stuff. On the side though, I've been taking another crack at Metroid 2. I tried it once before and got stuck from my inability to find the next step. Now that I actually did some wall-hugging, I managed to work through the game at last and my experience is untainted by nostalgia. 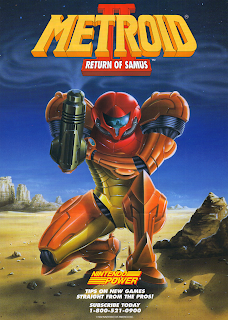 This should be a good read for Metroid fans.